����� when one considers the years of neglect of US 441 between Watkinsville and Madison, a project in the works for 15 years or more!....................... During these years, we have had a Republican Governor (Perdue) and a Republican General Assembly. Maybe it would help if Developers Tom Little, ���.. et al would buy some property along these important corridors!!!! . The Press Puffery of Smith and Davis is particularly irritating when one considers the years of neglect of US 441 between Watkinsville and Madison, a project in the works for 15 years or more! The lack of progress is even more glaring when one realizes that Bob Smith has represented Oconee and Morgan County for a number of those years. 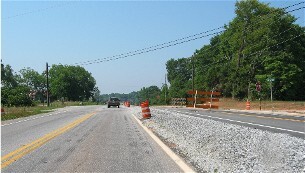 U S 441 has been widened North of Athens (Also US 129) and in the North GA Mountains, and south of the Madison Area. While U S 441 has dragged, the same can be said about widening and straightening GA Hwy 15 in Oconee and Greene Counties—though Greene has made more progress than Oconee with passing and turn lanes. Points south have also been improved over the years. Oconee County still has a two lane section of road that is curvy and dangerous. It also dumps traffic in Watkinsville without the connection to US 441 By Pass – this project was in the “works” in the mid-nineties! At the same time, little has been done on the upgrade of GA 316, University Parkway, except talk, including Bob Smith’s high profile opposition to GA 316 Tolls.It will be interesting to watch the actual progress of Mars Hill Widening and Oconee Connector-Jennings Mill Parkway as Election Fever subsides! During these years, we have had a Republican Governor (Perdue) and a Republican General Assembly. Maybe it would help if Developers Tom Little, Starke Hudson et al would buy some property along these important corridors!!!! 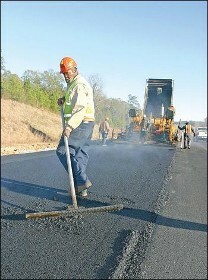 9-5-03 Governor Unveils $24 Million Highway Bond Projects--LITTLE IN NORTHEAST GA! 3-18-04 GA 316 Will Not Magically Improve Itself - Somebody Has to Pay For It! Wendell Dawson, Editor, AVOC, Inc. This list includes State Route 17 in Franklin County.This is an important north-south corridor for east-northern GA. The list still leaves out Athens-Clarke, Barrow, Jackson, Oconee, Walton and other area counties: including U S 441 through Oconee, Morgan and Putnam Counties.GA SR 15 in Oconee and Greene is not included. Again, the political strength of Metro-Atlanta and Rural South Georgia is very obvious.The counties near the S C line are ably represented by Representatives Tom McCall of Elberton and Jeannette Jamieson of Toccoa who represents Franklin County. Senator Ralph Hudgens of Madison County represents Franklin also. We are glad for SR 17 but hope we can eventually get some funding from Perdue for GA 316 and U S 441.These are important corridors too. 9-5-03 Governor Unveils $ 324 Million Highway Bond Projects--LITTLE IN NORTHEAST GA!